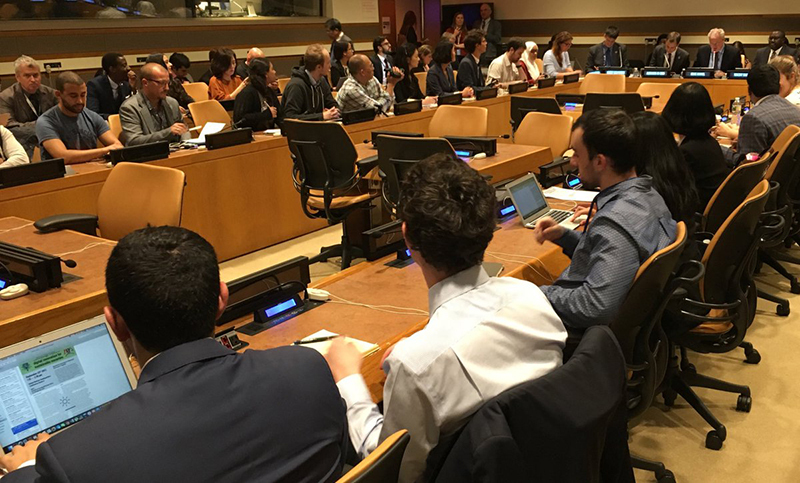 During the 72nd session of the United Nations General Assembly, Belgium not only attracted attention from its candidacy to be a non-permanent member of the Security Council, but also from MolenGeek, a technology incubator specifically focussing on young people and based in Molenbeek. 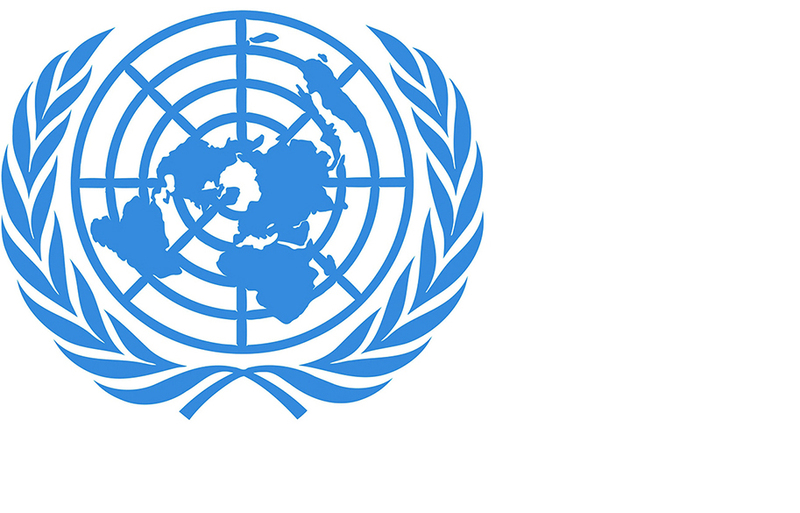 The MolenGeek initiative presented as a model of good public-private partnership practice at the United Nations General Assembly. The MolenGeek team with the Deputy Prime Minister and Minister for Foreign Affairs, Didier Reynders. H.M. the King visiting MolenGeek on 30 May 2017. © BENOIT DOPPAGNE – BELGA. 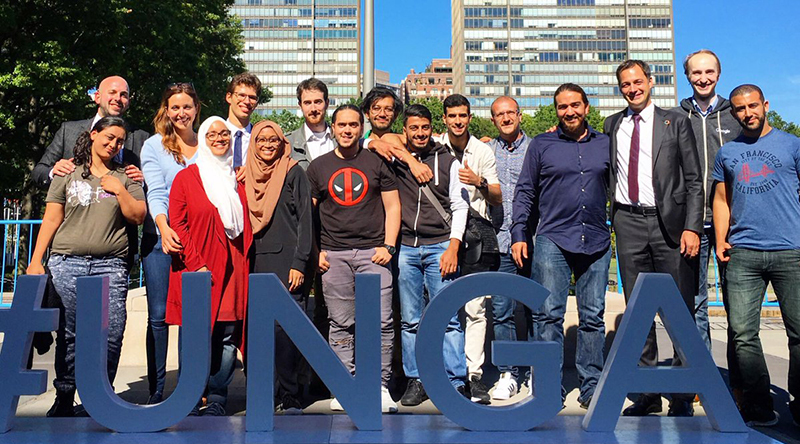 Deputy Prime Minister and Minister for Development Cooperation, Alexander De Croo in New York, with the energetic MolenGeek team after their presentation at the United Nations. 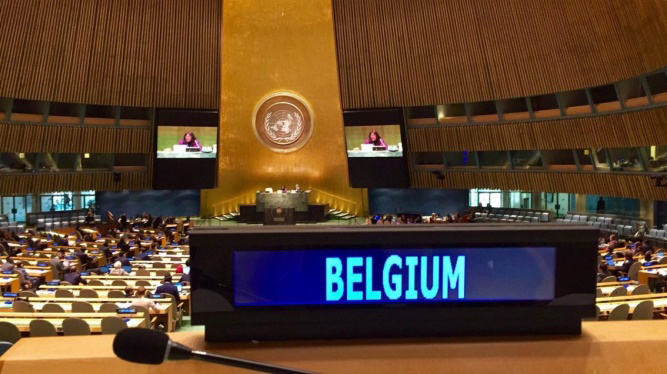 Apart from Prime Minister Charles Michel, who had come to defend Belgium’s candidacy for a non-permanent seat in the Security Council in 2019-2020, Deputy Prime Minister Alexander De Croo formed part of the substantial Belgian delegation present in New York from 18 to 22 September. Minister De Croo, who is responsible for Belgium’s federal digital agenda, presented a Molenbeek project to the United Nations as a best practice model for public-private partnership. MolenGeek, or how young people manage! 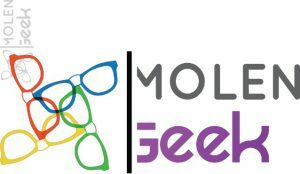 MolenGeek is a Molenbeek technology incubator specifically focussed on young people. It allows them to develop their IT skills, learn about coding and experiment in business. The Minister pointed out that ‘this shows how to prepare vulnerable young people for a future in the field of the digital economy’. This association was founded two years ago by five young entrepreneurs. One of them was Ibrahim Ouassari, born in Molenbeek, who discovered technology at the age of twenty, after leaving school seven years earlier. After launching his career, he found himself at the head of four IT businesses. Ibrahim Oussari now wants to give other young people the opportunities which he received. The positive experiences pooled in MolenGeek led to the creation of the Digital Belgium Skills Fund. This fund of 18 million euros finances projects to promote digital skills among vulnerable population groups. A first round of financing opened in May 2017 and 41 projects were selected by an independent jury supported by the Fondation Roi Baudouin.